Ah, peaches. I love them. 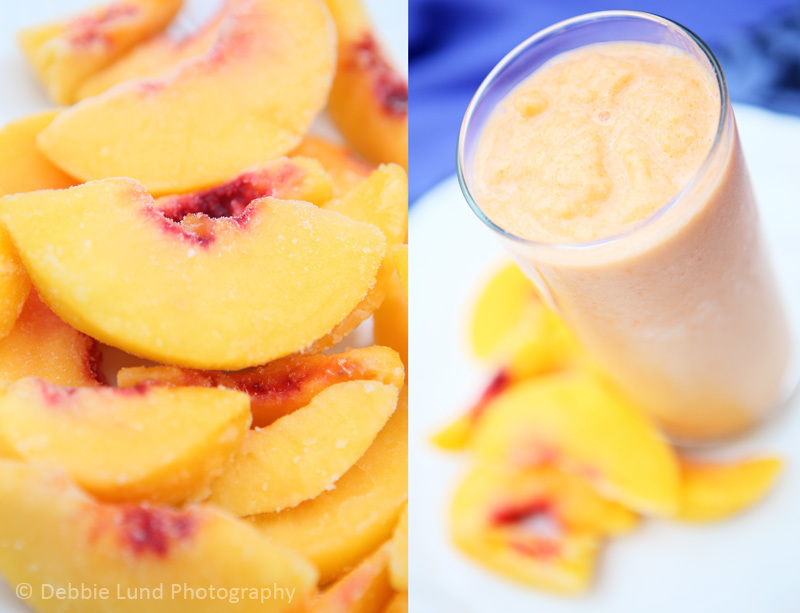 And what better way to honor the peach but to use it in a healthy smoothy? I began my peaches & cream smoothy as you would expect. Almond milk and peaches in the blender. To that I added some vanilla and some stevia. ( I was going for a creamy taste without the actual cream). I blended it all up nicely and added some glucomannan to thicken it up a bit. Then in went the ice. I took a taste it it was just right, but the color was more brown than peach. This was a not going to fly. I only care about color because my kids still expect peach foods to be peach colored, and the brown of the vanilla had taken over. So the easy remedy for me, because I refuse to add artificial food dyes to my food, was to add in something orange and sweet. So I scrubbed a carrot, chopped off the ends, and added it in. Perfection. And it made no noticeable change to the flavor, in my opinion. If you’re following the Trim Healthy Mama way of eating, this is an E smoothy. I’m attaching the recipe, and have it marked as serving one person, but this could easily be shared by two people. 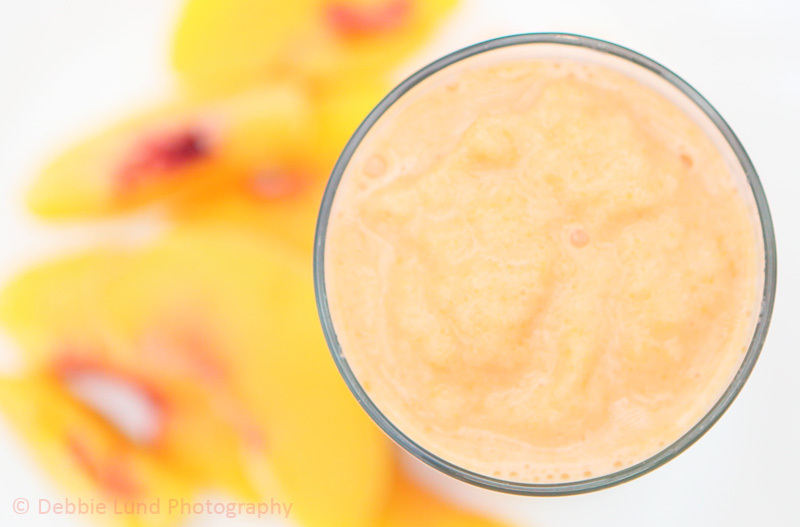 Add almond milk, frozen peaches, carrot, vanilla and sweetener to your blender and mix it all up. 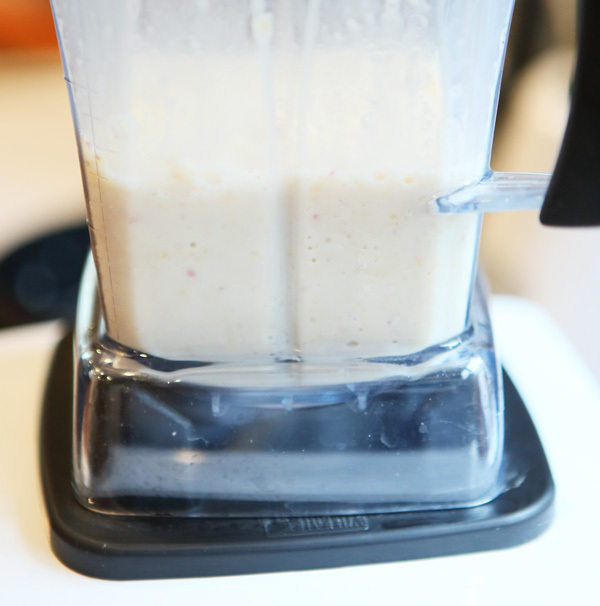 Blend until the glucomannan is all mixed in and then let it sit for a minute or two. This is the breakdown according to myfitnesspal.com's recipe calculator, including the carrot. Follow my THM Pinterest board for more great recipies! This post is a part of the Trim Healthy Tuesday Link-up hosted by www.stacymakescents.com and www.gwens-nest.com. You can also find it on the Slightly Indulgent Link Party featuring sugar free & gluten free recipes and gluten free recipes & Gluten Free Fridays.